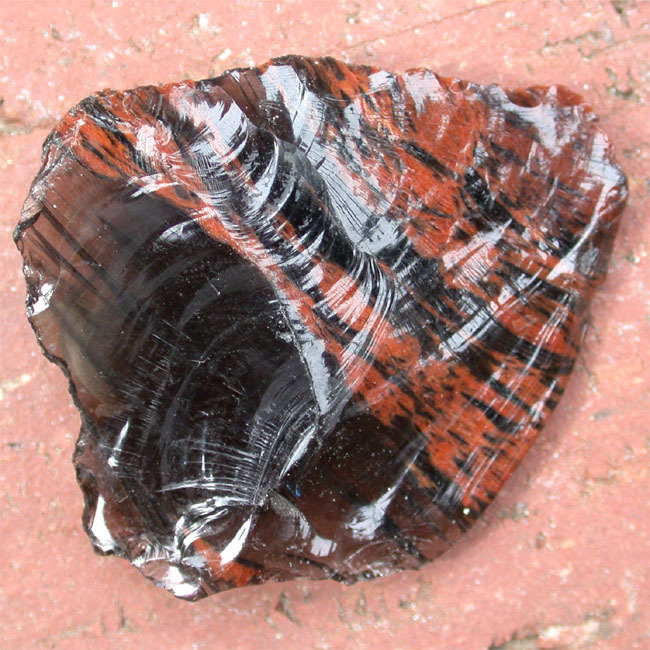 If a rock looks like a block of (colored) glass, with no visible mineral crystals, it has a glassy texture. Superficially, a glassy texture suggests cooling that was so extremely fast that no crystals could form. However, composition is also vitally important. 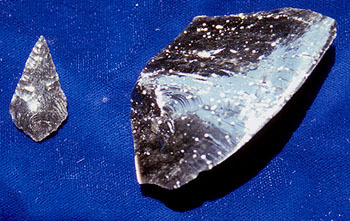 The high silica (SiO2) concentrations found in felsic rocks (rhyolite composition) causes a rock to form a glass much more readily than it would in low silica rocks such as basalt. Thus, the rate of cooling of a felsic and mafic lava flow could be the same, but the felsic flow would form a glass because it is packed with silica. 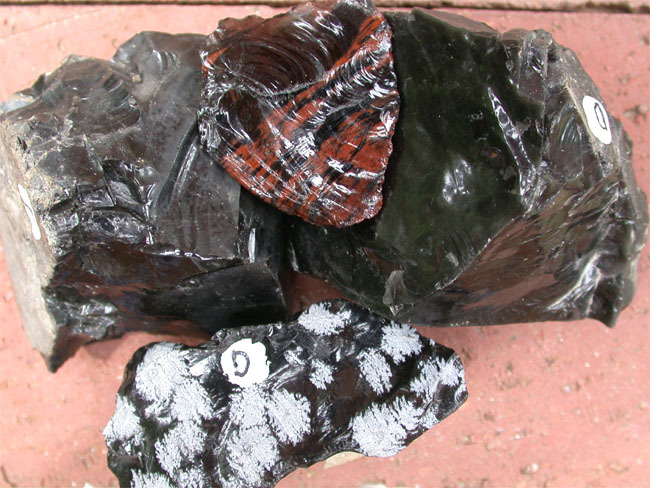 Here are three different types of a glassy volcanic rock called obsidian. Note the curved, conchoidal fracture surfaces. Obsidian is commonly black. 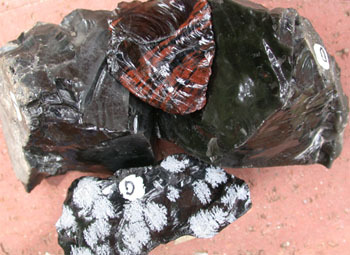 However, it also occurs with red banding and with white patches (snowflake obsidian). Obsidian is rhyolitic in composition. Its dark color comes from microscopic magnetite grains. 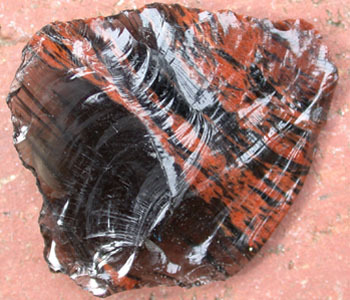 This close-up of the banded piece of obsidian clearly shows the conchoidal fracture surfaces and the glassy nature of this rock. Native peoples around the world learned to take advantage of the way obsidian chips to make arrow heads, spear points, and other tools requiring very sharp edges. The point on the left was made by an anthropology major at Stanford University. The piece on the right has not been worked.